Joseph Pilates was born in 1880 near Dusseldorf in Germany. Throughout his childhood he was frail and sickly, suffering from rickets, asthma and rheumatic fever. Determined to overcome his ill-health he embarked upon a regime of physical fitness experiencing yoga, Zen, gymnastics, skiing, self-defence, circus training and weight training, to name but a few. 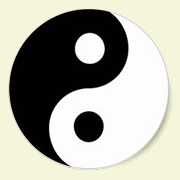 By taking elements from each of these disciplines he was able to create his own method, known as Contrology, which incorporated the perfect balance between body, mind and spirit, with the idea that through physical health, the mind’s health improves. In 1912 Pilates travelled to England as a boxer. At the outbreak of the 1st World War he was interned in a camp on the Isle of Man along with other German nationals. Whilst there, he taught and practised his physical fitness programme and begun devising apparatus to aid in the rehabilitation of the disabled and sick. When the war ended he returned to Germany where he trained the Hamburg Police, but when instructed to train the newly formed German army he decided to leave for America. On route to New York he met his future wife, Clara, a nursery nurse and together they set up his first fitness studio in New York, working alongside the New York City Ballet, as well as athletes, gymnasts and circus performers. The studio soon attracted many top dancers, actors, gymnasts and athletes who all recognised the importance of strength without bulk, combined with flexibility. He strongly advocated discipline of mind and body and recognised that there must be commitment to the exercises to realise results. 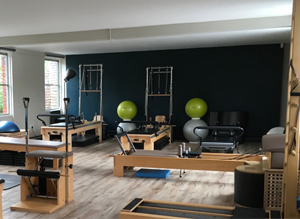 He tailored all the exercises, in total more than 600 for the various pieces of equipment, to each individual clients needs and often clients themselves went on to teach their own interpretation of Pilates method of exercise.